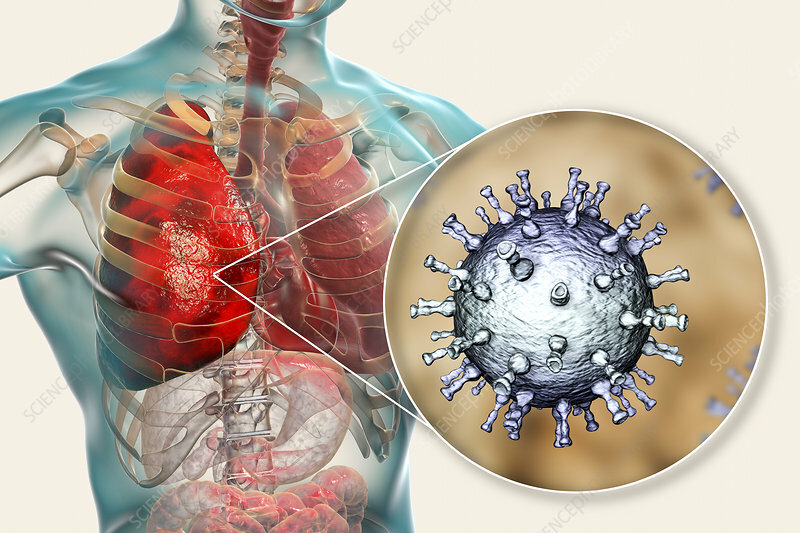 Pneumonia caused by varicella zoster virus (VZV), computer illustration. VZV is a virus from the Herpesviridae family, the causative agent of chickenpox and shingles. In severe cases VZV may cause complications, such as pneumonia and encephalitis.